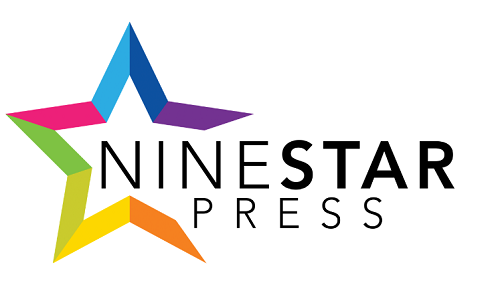 Welcome to this website (“the Site”) which is owned and operated by NineStar Press, LLC (“NineStar Press”, “we” or “us”). You will be agreeing to these terms and the related materials constituting this Agreement either when creating an account, purchasing and downloading content, making a submission, agreeing to have us publish your work, or otherwise by your continued use of the Site or the Services. By accessing this site, you agree to be legally bound by this Agreement. If you do not want to be bound by this Agreement, do not access the Site or download any content, and immediately leave this Site. Mature Content Warning. While the content of this Site is of an artistic nature, certain books, excerpts, and art available for review and purchase may include graphic descriptions and/or images of the human form that should be restricted to mature individuals of legal adult age, or which may otherwise be offensive to some readers. By entering the Site you confirm that you are of legal adult age in the jurisdiction in which you access the Site and that viewing, reading, and purchase or download of content from the Site does not violate the laws or community standards of the locality in which you access the Site and its Services. If you are of legal adult age, wish to view content on this Site, and you are of legal age in your community or jurisdiction, then you may use our Site and Services with the understanding that you are solely responsible for your decision to do so. NineStar Press and its contributors disclaim all responsibility for materials on the Site and your decision to access the Site and our Services. Jurisdiction and Legality of Content. We are an e-publisher of some of the finest LGBTQA+ fiction available. Nevertheless, publication of some of the content of this Site may be in violation of the laws of the country or jurisdiction in which you access or view the materials. The content of this Site is stored on servers in the United States of America, and is maintained in compliance with the protections afforded under state and federal laws of the United States of America. The laws in your country or jurisdiction may not protect or allow the same kinds of speech or distribution. NineStar Press does not encourage the violation of any laws, and we are not responsible for any violation should you access this Site in a manner that is proscribed by the laws of your jurisdiction. Modifications. We reserve the right to change any of the terms in this Agreement and in any policies, guidelines, or instructions governing the Site or Services at any time and in our sole discretion. Any changes will be effective upon posting on the Site, and we will use reasonable measures to ensure that changes are prominently posted in a manner designed to afford notice to users of the Site. You are responsible for periodically checking for the most current terms that apply to your transactions on the Site. Your continued use of this Site and the Services following the posting of any changes means that you agree to them. If you don’t agree to the changes, do not continue to use the Site or Services. Eligibility. Use of the Site and Services is limited to parties that lawfully can enter into contracts under applicable law. For example, we do not provide products or services to minors. If you are under legal adult age, you may use the Site only with the involvement of a parent or guardian. We do not offer services to or target persons under the age of 13. In compliance with the Children’s Online Privacy Protection Act and other laws concerning the protection of minors and children, we will purge any information we receive from people we believe to be children under 13 from our database and cancel any corresponding accounts and transactions. Publisher’s Reservation of Rights. We retain the right to determine the content, appearance, design, functionality, and all other aspects of the Site and the Services. We reserve the right to redesign and alter the Site and the Services from time to time in order to improve the quality of your experience at the Site. We may in our sole discretion withhold for investigation, refuse to process, restrict shipping destinations, stop, and/or cancel any transactions. As a buyer, you will be refunded the amounts you paid for an order that we stop or cancel. Software and Downloads. Your use of any software made available on or through the Site as a service offering is subject to all agreements such as a license agreement or user agreement that accompanies or is included with the software (“License Terms”). In the event that software is provided on or through the Site and is not licensed for your use through License Terms specific to the software, you may use the software subject to the following: (a) the software may be used solely for your personal, informational, noncommercial purposes; (b) the software may not be modified or altered in any way; and (c) the software may not be redistributed. You may download, store, display on your computer, view, listen to, play, and print materials that you purchase from us or that we otherwise publish or broadcast on the Site or make available for download, subject to the following: (a) the materials may be used solely for your personal, informational, noncommercial purposes; (b) the materials may not be modified or altered in any way; and (c) the materials may not be sold or otherwise redistributed. Programs and Promotions. From time to time we may offer special promotions designed to enhance the value of your experience with us. Special promotion offers cannot be combined with any other offer or applied to any prior transactions. Special promotion offers may be modified or terminated by us at any time without notice. Special promotions for a qualifying transaction will be automatically calculated and applied. Your Account. To access our Services, you must create an account on our Site associated with a valid email address. Accounts may not be sold or transferred. Unless expressly authorized by us, you may only create one account per email address. To create an account and register, you must provide your name and email address, select a password, and provide other information required by the application form. Valid payment information will be needed when you conduct a purchase on our Site. You are responsible for all activities that occur under your account, regardless of whether the activities are undertaken by you, your employees, or a third party. Neither we nor our affiliates are responsible for unauthorized access to your account. You will contact us immediately if you believe an unauthorized party may be using your account or if any of your account information is lost or stolen. Author’s Grant. When a manuscript is submitted to us for review, the author grants NineStar Press—including but not limited to our employees and contract workers—the right to review the work for possible publication. We will not use or publish any of the manuscript without a signed contract with the author. If a manuscript is not accepted for contract and publication, it will be deleted from our system, although we will retain a record of having received the manuscript (which will include only your name, pseudonym if applicable, email address, manuscript title/genre/length, and reason for rejection) to assist in future inquires and decision making; this record will never be shared outside NineStar Press. If a manuscript is accepted, all usage will comply with the signed publishing agreement between us and the author. Otherwise, with respect to comments, remarks, reviews, or other similar postings that you may make on the Site or on social media or elsewhere on the Internet concerning NineStar Press, you grant us a royalty-free, non-exclusive, worldwide license to use, display, distribute, modify, or re-format such materials, which are deemed non-confidential. Copyright and Trademark. All content included on the Site, including text, graphics, logos, button icons, images, audio clips, digital downloads, compilation of content, data compilations, and software, is the exclusive property of NineStar Press or its content suppliers and is protected by United States and international copyright laws. Any trademarks, service marks, brand or trade names appearing on the Site are each the proprietary intellectual property of NineStar Press or the owners of such marks or names, and you may not use, modify, remove, or otherwise infringe any of such proprietary intellectual property. Your notice should include (i) an electronic or physical signature of the person authorized to act on behalf of the owner of the copyright interest; (ii) a specific description of the alleged infringement and the copyrighted work that you believe has been violated; (iii) the exact location of the infringing material on the Site; (iv) your contact information (address, telephone number and email address); (v) a statement by you that you have a good faith belief that the disputed use is not authorized by the copyright owner, its agent, or the law; and (vi) a statement by you, made under penalty of perjury, that the above information in your notice is accurate and that you are the copyright owner or a person authorized to take action on behalf of the owner of the copyright. Password Security. Your account password may be used only to access the Site, use the Services, electronically sign your transactions, and review your completed transactions. You are solely responsible for maintaining the security of your password. You may not disclose your password to any third party (other than third parties authorized by you to use your account) and are solely responsible for any use of or action taken under your password on this Site. If your password is compromised, you must change your password. Our Payment Service. In order to purchase ebooks on the Site, you must use our Payment Service (the “Payment Service”). Fees. For all charges for any products and services sold on the Site, we or our vendors or agents will bill your credit card or an alternative payment method. When you provide credit card information to us or our vendors, you represent to us that you are the authorized user of the credit card that is used to pay for the products and services. In the event legal action is necessary to collect on balances due, you agree to reimburse us and our vendors or agents for all expenses incurred to recover sums due, including attorney’s fees and other legal expenses. You are responsible for purchase of, and payment of charges for, all Internet access services and telecommunications services needed for use of the Site. Returns and Refunds. Our policies and procedures concerning returns, credits, replacements, and similar purchase-related matters are discussed in our FAQs, which are part of this Agreement. Compliance with Laws; Fraud. The Site and Services may be used only for lawful purposes and in compliance with all applicable laws, statutes, and regulations. You may not register under a false name or use an invalid or unauthorized credit card. You may not impersonate another account holder or use another’s password(s). Fraudulent conduct may be reported to law enforcement. You may not post unlawful, harmful, defamatory or obscene content, or content that infringes on trademarks or copyrights. Investigation. We have the right, but not the obligation, to monitor any activity and content associated with this Site and investigate and take any action we in our sole judgment deem appropriate, including but not limited to issuing warnings, suspension, termination of service, denying access, and/or removal of any materials on the Site. Disclosure of Information. We reserve the right to report any activity that we suspect violates any law or regulation to appropriate law enforcement officials, regulators, or other third parties, and to disclose to them as we consider necessary or appropriate information including but not limited to user contact details, IP addressing and traffic information, usage history, and posted content. * any obligation, liability, right, claim, or remedy in tort, whether or not arising from our negligence. Indemnity and Defense. You will defend, indemnify, and hold harmless NineStar Press and its affiliates (and their respective employees, directors, agents, and representatives) from and against any and all claims, costs, losses, damages, judgments, penalties, interest, and expenses (including reasonable attorneys’ fees) that arise out of or relate to: (i) your use of the Site; (ii) any actual or alleged breach of your representations, warranties, or obligations set forth in this Agreement; (iii) any content you provide including but not limited to any actual or alleged infringement of any intellectual property or proprietary rights of any third party. Limitation of Liability. Your use of and browsing of the Site are at your own risk. We will not be liable for any damages of any kind including without limitation indirect, incidental, punitive, or consequential damage or loss arising out of or in connection with this Agreement, the Site, the Services, the inability to use the Site or the Services, or those resulting from any goods or services purchased or obtained or messages received or transactions entered into through the Site or the Services. In any event, NineStar Press’s liability of any kind shall not exceed the amount of any purchase in connection with which a claim arises. Release. In the event you have a dispute with one or more other user of this Site, you release NineStar Press from claims, demands and damages (actual and consequential) of every kind and nature, known and unknown, suspected and unsuspected, disclosed and undisclosed, arising out of or in any way connected with such disputes. Applicable Law. By visiting the Site you agree that the laws of the State of New Mexico, USA, govern this Agreement without giving effect to principles of conflicts of laws. Subject to the provision of this Agreement titled “Disputes,” any legal action arising under this Agreement shall be brought only in state or federal courts in the State of New Mexico, which you agree shall have exclusive jurisdiction. * provide to each of the parties a written statement of its decision and the reasons for the decision, except under circumstances justifying confidentiality. Entire Agreement. This Agreement, including any provisions incorporated by reference, constitutes our entire agreement with you and supersedes any other understandings in connection with your use of the Site and Services. No Agency; Third-Party Beneficiary. We are not your agent, fiduciary, trustee, or representative. Nothing expressed in or implied from this Agreement is intended or shall be construed to give to any person other than the parties hereto any legal or equitable right, remedy, or claim under this Agreement. This Agreement and all of the representations, warranties, covenants, conditions, and provisions hereof are for the sole and exclusive benefit of NineStar Press and you. Severability. If any provision of this Agreement shall be deemed unlawful, void, or for any reason unenforceable, then that provision shall be deemed severed from these terms and conditions and shall not affect the validity and enforceability of any remaining provisions. No Waiver. We will not be considered to have waived any of our rights or remedies described in this Agreement unless the waiver is in writing and signed by us. No delay or omission by us in exercising our rights or remedies will impair or be construed as a waiver. Any single or partial exercise of a right or remedy will not preclude further exercise of any other right or remedy. Our failure to enforce the strict performance of any provision of this Agreement will not constitute a waiver of our right to subsequently enforce such provision or any other provisions of this Agreement.